On 23 March 2019, a team from Bangkok comprising Ajarn Arom/Supatra, Ambassador Preecha/Kung and Edgar/Izel met with 17 CFC leaders from 5 parishes of Ubon Ratchathani, northeast of Thailand to discuss activities for 2019 and the preparations for the 30th CFC anniversary celebration. CFC is present in 14 out of 55 parishes in the Diocese of Ubon Ratchathani with over 509 active Thai members (332 CFC, 144 HOLD and 33 SOLD). From the meeting, it was decided to conduct a CLP training on 4 May and invite the newly appointed spiritual director Father Pichet Wong-anand to attend the CFC activities in Manila in June 2019. Ubon leaders requested that missions be conducted to each parish to support current members and invite them to the 30th CFC anniversary celebration. They expressed their difficulties in inviting new members to the community and wanted support to make their CLPs more attractive and lighter for Thai people. The Bangkok team paid a courtesy call to H.E. Bishop Philip Banchong Chaiyara and invited him to attend the anniversary celebration in October. He expressed his support to CFC and acknowledged CFC's active work in the diocese through the leadership of area head Brod. Samnieng Thannara. He welcomed the idea of reviving the Youth camps for Thai students that were active in the past. For several years now, CFC Bangkok organizes Marriage Enrichment Retreats (MER) I and II for its couple members during the first quarter of the year. These seminars are essential formation programmes of CFC aimed at strengthening marriages and building homes for God through better appreciation and understanding of God's plan for marriage and family life. This year, both retreats were held at the Camillian Pastoral Centre in Latkrabang during the weekend of 9-10 March 2019. Some 15 couple participants attended MER 1 and 11 MER 2. Four couples from CFC Manila who came to Bangkok to deliver powerful talks and facilitated exciting sessions were Raffy and Amie Ballesteros; Ding/Tess Aguinaldo; Lito/Linda Tayag and Tito/Leny Cayamanda. Their rich experiences in marriage life and long involvement in CFC made the retreats very successful and enriching for both participants and service team members alike. The CFC community in Laguna, Phuket marks 10th anniversary this year. Members are mainly expats working in luxury hotels. 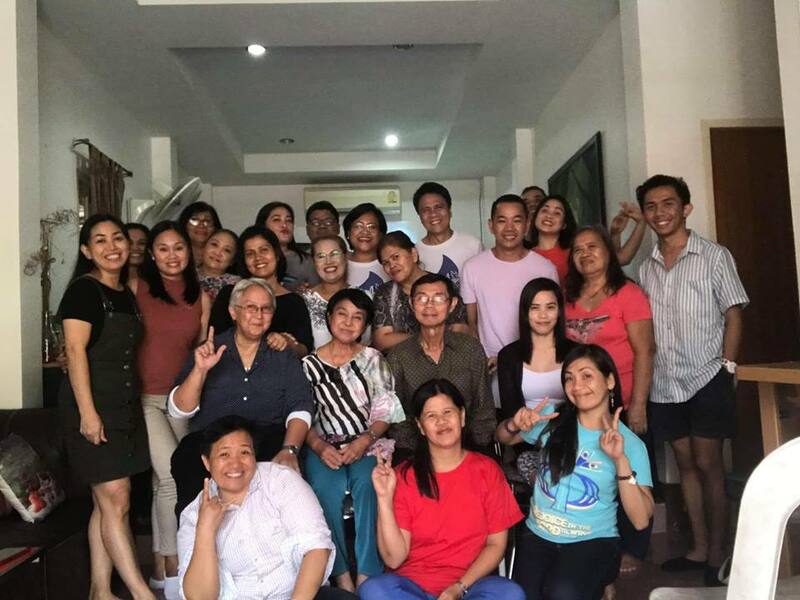 On 3 March 2019, Edgar/Moonyeen visited the group and joined their household meeting. Unexpectedly, they met with Thai couple Khun Prasert and Panida at the mass in St Joseph Church prior to the household. This couple brought CFC in Laguna 10 years ago with support from Edgar/Moonyeen and members from CFC Singapore. Also in attendance was Bernadette from Phuket town who completed her CLP in 2008. It turned out to be a very special and meaningful gathering with the members of CFC in Laguna, some of them belong to the first CLP. During the meeting, Edgar exhorted the members to continue to rekindle their spirit and reflect on the CFC theme of the year "live as children of light." Many members renewed their commitment to the daily prayers and attendance to household meetings. Edgar also installed the new Governance Team for the Laguna community comprising Arnel/Vicky Flores (Area Leaders and Evangelization), Ariel/Dhona Campos (Pastoral Formation) and Mike/Majoy Trinidad (Family Ministries). The meeting concluded with a praying over of the new leaders. Phitsanulok lies in upper central Thailand and takes 4.5 hours drive from Bangkok. There is a new CFC group established last year with very active members mostly Singles for Christ (SFC). Most of them are teachers in different Thai schools. Monthly visits are made alternately between Louie/Pinky Lepiten, who visited the group last January, and Edgar/Moonyeen with support from SFC members in North/Central Bangkok chapters. Edgar/Moonyeen, together with Lenin (SFC), went on 23 February 2019 and joined the household prayer meeting. They also gave three Covenant Orientation talks. Most members informed that they will join the SFC conference to be held at AIT on 10 March 2019. Ajarn Arom returned to CFC Thai mission work with his first visit to Tharae on 16-17 February 2019 after three years of rest due to illness. He was joined by Ambassador Precha and Kung, Arom's wife Supatra, Edgar and Maverick (SFC). The group traveled by car from Bangkok to Tharae lasting 12 hours each way. The mission aimed to encourage the participation of Thai members at the 30th anniversary of CFC Thailand in October 2019 and secure the support from priests and leaders of CFC in the area. 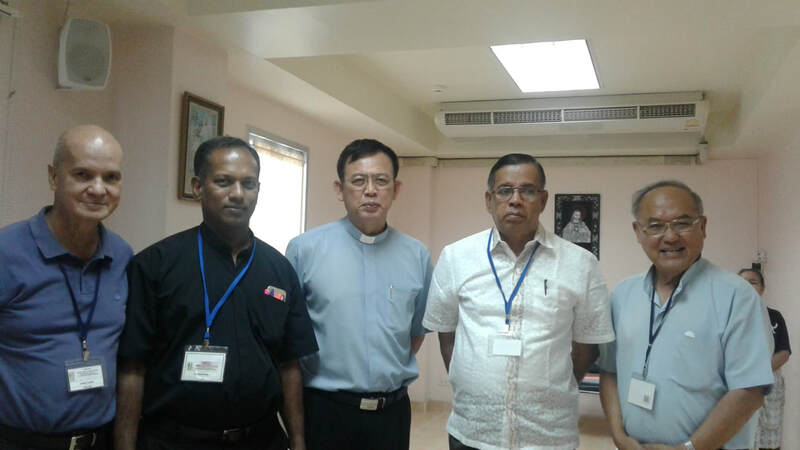 The group called on the new parish priest of Tharae, Father Surasak, who expressed his strong support to CFC and familiarity with the group since the time of late Bishop Kai. Father Surasak agreed to attend the 30th anniversary of CFC Thailand tentatively scheduled for 26-27 October 2019 and planned to be held at the Our Lady of the Martyrs of Thailand Shrine in Songkhon, Mukdahan Province, Thailand. Following the call, Father Surasak attended the household prayer meeting held at the residence of Khun Napasat. About 25 CFC Thai members were present. The mission group also spent time to comfort and encourage Khun Napasat, the area leader in Tharae, who has been bedridden since December 2018 due to a stroke. At the end of mission, they had a breakfast meeting with new couple leaders, Khun Tik and Toey, about future activities of the community and the plan to help the Thai members in the area to be able to conduct CLPs. The three CFC chapters in Bangkok (Central, North and Nonthaburi) gathered together on 3 February 2019 at the Korea House in AIT for the First Fruit consecration. The venue was packed with about 200 members many in red colored clothes to join the Chinese New Year celebration. Art Roa led the assembly and gave a powerful talk on financial stewardship. He emphasized the importance of living the scripture teaching on tithing to become a mature and responsible Christian and to support the spiritual work of the overall church and of CFC. Edgar followed up with a talk on the theme of CFC for 2019 "Live as Children of Light" and then introduced the First Fruits consecration to the members. This tradition of First Fruits allows each member to express his or her gratitude to God and seek His mercy and graces throughout the year. Youth Christ Central Bangkok welcomed 2019 with its first evangelization youth camp held on 19-20 January at Phramahatai School (Beside Holy Redeemer Church) Bangkok. The camp theme followed the CFC Theme of the year 2019. “Live as Children of Light”. The camp is an entry point to becoming a member of Youth for Christ and was led by Kyle Dante and Angelo Saga. Parz Maristela served in the music ministry. First time camp servants Chompoo Maristela and Richard Hufana facilitated the entire event. Sharers from Central and Nonthaburi (Don Bosco) YFCs and speakers from the household of Siegrid Tejeno of SFC North Bangkok guided the youths in fun-filled and spiritually uplifting activities. Participants' parents came to surprise their children and engaged in the exchanging of letters and dialogue activity. The camp ended with 9 members added to CFC-YFC Central Bangkok and North-East Bangkok Chapter. After the camp, participants joined the General Assembly of Central Bangkok and were welcomed as new members. The team was grateful to the Lord for the fruitful harvest and for allowing them to serve in His vineyard. 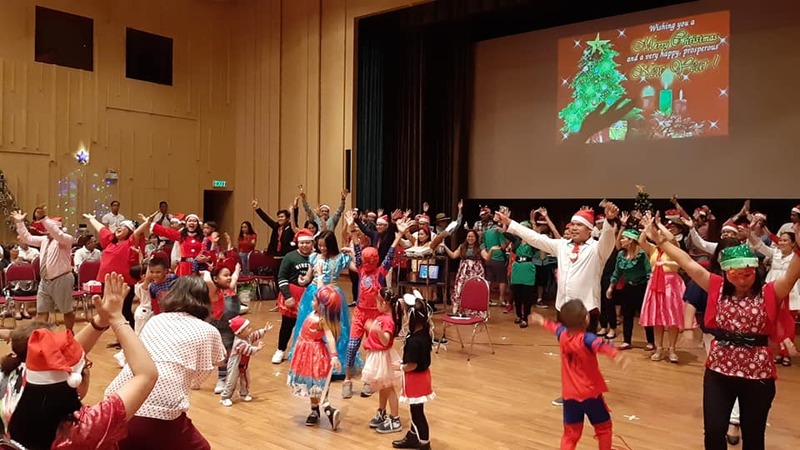 Some 300 members from the four Chapters of CFC Bangkok gathered at the AIT Centre Auditorium on 8 December 2018 to celebrate the birth of Christ through the annual Christmas party. Edgar exhorted the group to focus on Jesus in celebrating Christmas and counteract the current Christmas culture based on entertainment, leisure and consumption. He presented a video highlighting the work of evangelization of CFC Thailand in 2018 as gifts we offer to Jesus this Christmas. Each chapter lighten up the party with colorful and lively presentations involving the entire membership about the meaning of Christmas. This was followed by group games organized by the SFCs and involved each ministries, including the children. The final part of the event was a unique gift exchanging mechanics arranged by the South East Bangkok Chapter through their chapter leaders Bal and Joyce Palmos. Each one brought home the joy and peace of Christmas and the task of praying for each other during the Advent session. Click for more photos of the event. A team from CFC Singapore visited Laguna, Phuket to give the six talks of the Christians and His Emotion on 2 December 2018 for members of CFC Laguna, Phuket. The team from Singapore were Boni Soque, Allaine Sotto and Art Cabinian. Some 30 participants from different CFC ministries attended the spirit-filled talks and look forward to having the Singapore team again next year. The Christian and His Emotion is one of the formation programmes available for members of CFC to grow as a mature Christian. 17 November 2018. Christmas came a little early for more than 100 kids in Ratchaburi. About 35 members from SFC Central Bangkok and North Bangkok accompanied by Fr.Prasit Rujirat, Director of Social Action Center Diocese of Ratchaburi, organized a medical mission and gift-giving at Ratchaburi. The group brought over 100 packs of goodies (disney t-shirts, marvel t-shirts, stuff toys, milk, chocolate, juice, cookies, wafer, gelatin, etc.) and fun games for the kids. Dr Chat Poonswasad, member of the CFC Thai household in Bangkok, came with the group and provided free medical services and medicines to the villages visited. There are over 20 villages occupied by Karen refugees who have benefited from this regular mission over many years. Father Prasit, a Thai priest from Ratchaburi, has facilitated these missions and provided assistants to the team for translation and logistical support in travelling to the remote villages. The group traveled for 10 hours from Bangkok to the border and spent two hours with the kids for fun games, gift giving, and medical services. Fr. Prasit said that he is always looking forward of having SFC in Ratchburi because of the joy the group is bringing to the community. He also added that the joy the group is bringing can heal the kids. He requested the CFC-SFC community to continuously pray for the kids and their family in Ratchaburi. This SFC activity of medical mission and gift-giving is being done quarterly at Ratchaburi. Sonny and Tess Montalbo visited the Chiangmai community on 7-8 November 2018. After attending Mass, they gathered the members for a fellowship lunch and General Assembly. The General Assembly was held in Café shop in-front of the Cathedral and Sonny led the praise and worship. SFC Covenant Orientation Talks 5 and 6 were given. Some 20 members and non-members attended the assembly. After the talks, Bro. Bill shared his healing experience that inspired the group to pray for one another. Youth For Christ (YFC) celebrated year end 2018 with another set of evangelization activity, a Youth Camp held on 6-7 October 2018 at the Saint Cristina Retreat House in the Our Lady of Mercy Church compound in Pak Kret, Nonthaburi. The two-day event was spearheaded by the San Lorenzo Upatham School (DonBosco) YFC chapter in Nonthaburi headed by the YFC Youth leaders Juan Miguel Marqueses, Yves Magpantay, Leah Busbus - under the guidance of the North Bangkok and Nonthaburi CFC-YFC Couple Coordinators and with the cooperation of the parish priest, Fr. Danielle Maza. The service team consisted mainly both of YFC members (KC Canasio, Ysa Magpantay, Irish Canasio, Gabe Ocampo, Andrea Marqueses, Martin Marqueses, Zoltan Gutierez, Abram Dolontina, Dan Eric Cabral and the 3 leaders Miguel, Yves, and Leah) and volunteers from the Singles For Christ (SFC) North Bangkok (Dominic Cagadas, Maverick Talaid, Challete Canete, and Jemar Manatad). The event was filled with activities that are both spiritually uplifting and fun. It was highlighted with inspirational and powerful talks from the speakers and sharers from both YFC and SFC service teams, followed by discussion groups with the participants and fun filled games and activities in between talks. 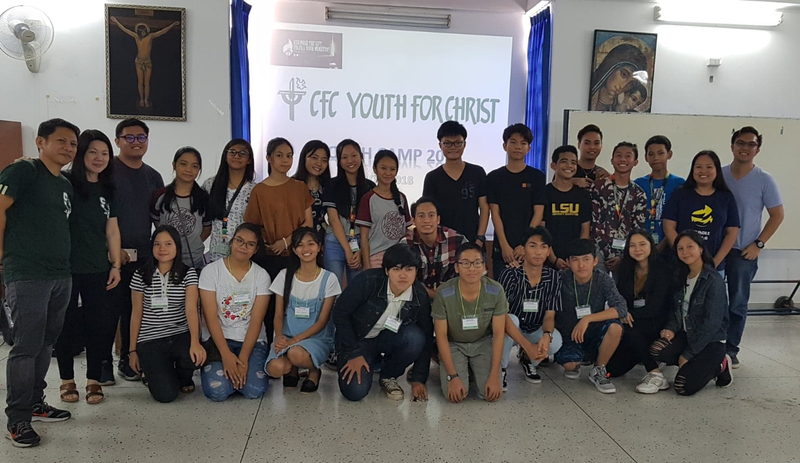 The Camp concluded with 9 new members added to the CFC YFC North Bangkok and Nonthaburi Thailand – eight of which are Filipinos and one (1) Thai local. Praise God for a fruitful harvest! CFC Nonthaburi chapter completed a strategic household-level CLP on 13 May 2018 and welcomed 3 new members (1 CFC, 1 HOLD who joined her husband to make them 1 CFC also), as well as a 3-weekend strategic CLP held in Don Bosco school located at the compound of Our Lady of Mercy church and welcomed 14 new members (2 CFCs, 3 HOLDs, and 7 SFCs) at the dedication ceremony held on 7 October 2018. Thus, 17 new members were welcomed this year. The programmes were both facilitated by couple household leaders Juan and Magie Magpantay together with the rest of the CFC Nonthaburi chapter members. 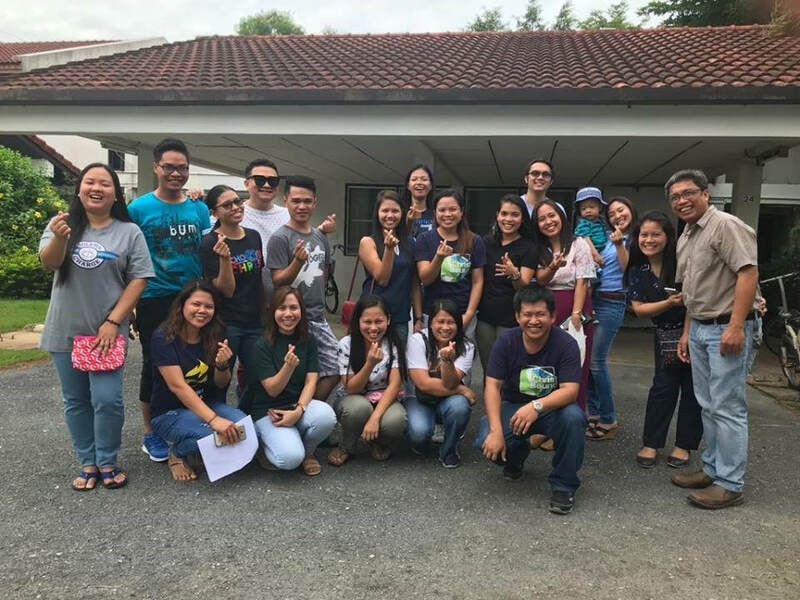 The 3-weekend strategic CLP received generous support from North Bangkok chapter (Art/Laarni Roa), Family Ministries (Sonny/Tess Montalbo, Louie/Pinky Lepiten, Jhozine), and selected leaders (Arnold Itao, Jimmy Lozare and Edgar), as well as from OLM church through the parish priest Fr. Daniel with visiting priests Fr. Alessios and Fr. Edgar. CFC Central Bangkok chapter resumed its post in Holy Redeemer Church and completed its 2nd annual 7 weekend Christian Life Program on 16 September 2018 capping the last talk - Transformation in Christ with a chapter general assembly and a Lord’s Day celebration. The CLP had a good harvest of 2 couples, 20 singles, and 6 handmaids. It was lead by 3 households: team head: Gary/Anna Hufana, asst. team head: Vorachat/Fang Thongpiyapoom and servant head: Patrick/Anne Lozare. It was also supported by the remaining chapter households, singles, handmaids and servants. The CLP is truly God driven and its dynamics does not only nourish the participants but the service team as well. One participant after having been in Thailand for so many years testified that she felt home again during the CLP. A household head discovered that he can serve in front of many people.A couple with a weekend schedule regularly filled with their children’s activities found they can squeeze in time to fully serve for the whole 7 Sundays. A young family with barely enough finances were able to tithe regularly to support the CLP. A couple after 20 years in CFC service finally became a household head. Another found herself regularly attending the CLP despite her initial conviction to lie low in service. The CLP not only paved the way for a renewal of relationship with Christ, Jesus but also strengthening of faith and conviction to serve. The whole community grows not just in numbers but in the Spirit of the Lord. 12 August 2018 - The CFC North Bangkok chapter culminated its 7-weekend CLP with a Dedication Ceremony on August 12, 2018 (Mother’s Day in Thailand) at Our Lady Mother of God Church in Rangsit, Pathumtani. A total of 26 participants completed the programme, including 6 CFC’s, 4 HOLD, 2 SOLD and 14 SFC’s. While most of the participants were Filipinos, there were also other nationalities consisting of 4 Vietnamese, 2 Filipino-Thais, 1 Sri Lankan and 1 Fijian. We praise God for His faithfulness and allowing the CLP team to reap an abundant harvest. The CLP was led by two CFC North Bangkok household groups (Corly/Era HH and Alvin/Kristine HH) and supported by the HOLD and SFC HH’s. As part of the service team, a CLP Music ministry was also organized composed of new instrument players. With constant practice, commitment and grace from God, the newly formed music ministry group quickly developed as an alternative CFC band which can be tapped in future CFC activities. In fact, the newly formed music ministry group is already booked to serve the upcoming CFC Women’s Conference on August 19, 2018. Praise God for the new talents in the community! ​13 August 2018 - About 20 members of CFC/SFC Korat accompanied by their Chaplain, Fr. Popoy (Fr. Ferdinand Aporillo, MSP), organized an outreach program for the elderly at the Home for the Aged Ratchasima on August 13, 2018. The group brought some snacks, fruits, gifts, boxes of juice and food for lunch and prepared a lively program to entertain the elderly and some staff in the facility. The program started at 8:00 am with the facility staff assisted by the group taking the elderly in their wheel chairs to the hall venue. Before the program proper, the CFC/SFC group was introduced to the audience by the head of the facility. After the introduction, Fr. Popoy read out the Gospel and gave everyone a blessing. An SFC leader, Dann Marie Del Mundo, also gave a brief exhortation. The activity was very heart-warming to all and some CFC/SFC members became emotional as they interacted and chatted with the elderly housed in the facility. The elderly people also became very emotional and sincerely thanked the group for visiting and entertaining them. Some of them kept smiling while listening to the songs while others tried moving their hands and attempted joining the group in dancing and singing. During lunch, the CFC/SFC group helped feed the elderly with the food that they brought. After lunch, the group also helped in taking the elderly back to their respective rooms. It was indeed a special day. The program ended with another send-off blessing from Fr. Popoy. facilitated five (5) sessions bringing HOLD, CFC women and SFC’s to a day of prayers, praise & worship and a deep reflection. The sessions touched on the gifts of the Holy Spirit, how to rekindle it, how to fulfill our solemn charge and be instruments on proclaiming God’s word, the need for an undaunting spirit even though the task is daunting, and for us to fulfill the work of an evangelist. The event ended with a high note of praise songs as the congregation spread their fiery wings. The Family Ministry organized a Household Leaders Training at the Asian Institute of Technology (AIT) campus from 6 to 8 July 2018 for SFCs from North Bangkok, Korat and Phitsanulok. The training was given by SFC household and unit leaders and the couple coordinators for SFC North Bangkok Louie and Pinky Lepiten. The venue at AIT was the house of Edgar and Moonyeen Dante. The participants were potential household leaders, household heads and assistant household heads. Kids for Christ Thailand organized a junior and senior Kids Day Camp at the Our Lady Mother of God Rangsit Parish on 8 July 2018. Some 33 active KFCs joined the event from 3 different chapters. The KFC campers experienced the love and friendship of their YFC brothers and sisters who actively joined and served as members of the service team. The Junior- Senior Kids Camp includes kids ages from 4 to 12 years old. This camp allowed kids to enjoy their moment in playing games, singing and dancing praise and worship songs, making artistic crafts, listening to bible stories, shared and heard experiences from one another and proclaimed the wonderful things on how God showed His love for them. They were also exposed to serve God and most of all use God’s given talent. The objectives of this camp was to introduce Jesus and made them realized that God had a special place for them in His heart, to enable the kids to respond to God’s love through prayers, songs and activities and gave them a sense of identity as a member of Kids for Christ where they can always share and expect Christian love, unity and support for one another. 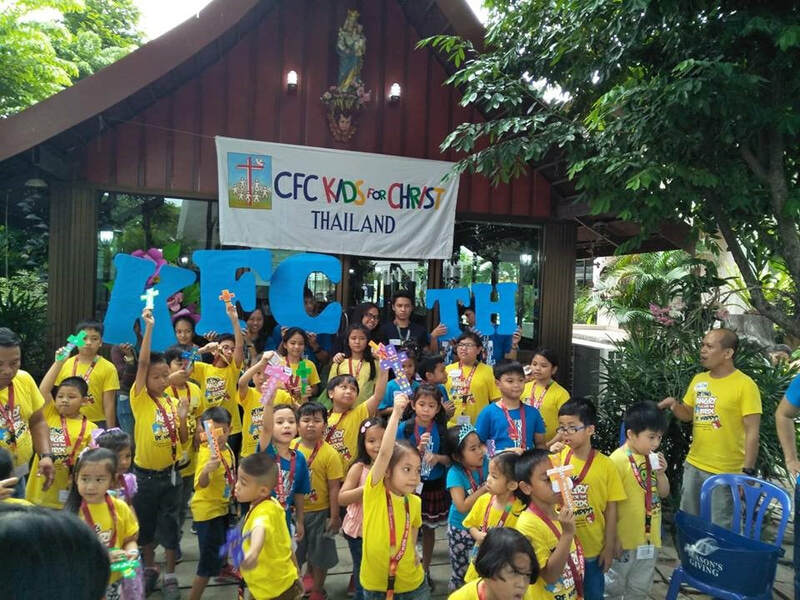 The camp was concluded with a parent orientation and awarding of certificates and ID’s to formally welcome the participants as official members of CFC-Kids for Christ Thailand. Some 14 members of the Myanmar made a special cultural dance presentation during the conference which was well appreciated by all participants. Further information about the conference announcement is available through this link. On 11 June 2018, Jimmy Lozare, Fulltime Pastoral Worker, brought the new couple Country Coordinator for CFC Thailand Raffy and Aimee Ballesteros to visit a CFC community in the village of Chanpen in the Northeast of Thailand under Archdiocese of Thaare Nongsaeng. Chanphen was one of the first villages in the Archdiocese to have CFC 21 years ago led by Acharn Arom, Bro. Prakal and the late Boni Manikham from CFC-Bangkok Thai. About 30 members, mostly Handmaids, were joined by members from CFC-Tharae and CFC-Nong Bua Thong for a total of 43 members participating in the Genera Assembly. After a brief Praise and Worship Bro. Raffy presented a Teaching on “Growing in the Faith” with Sis. Aimee sharing the “Before and After” experiences of community life in CFC. FTPW Jimmy had introduced them before the Session and the people were very happy that leaders from as far as Manila, not only from Bangkok, are interested and concerned about their community life. A lot of sharing from the villagers followed. The pastoral visit edified the participants in a Spirit-filled day and the people expressed their gratitude for the event. There was a brief discussion with the leaders and members to celebrate the 21st anniversary of CFC in the archdiocese sometime in September, to coincide with a CLP “Baptism in the Spirit” from CFC-Ubon Ratchathani as a combined weekend celebration. The GA ended with lunch and fellowship. On 5-6 May 2018, Bobet and Cris Pelias, CFC SEB mission team visited CFC south for 2 days. Together with our local leader, Oliver and Jasmin Ople, they facilitated two households prayer meetings, the first was on the 5 May in Thungyai with CFC Krabi led by sis Ruby Agno and the following day was in Muang Nakhon Srithammarat. All were inspired by the zeal and enthusiasm manifested by our brother and sister for their missionary work which is to evangelize and bring the good news to others amidst trials and challenges. CFC-Singles for Christ conducted Christian Life Programme (CLP) in Chiang Rai on 18 and 25 March 2018. Nine (9) members of the community from Central Bangkok volunteered as service team. The service team were warmly welcomed by Fr. Matthew Ekachai of the Camillian fathers, pastor of St. Camillus parish and villagers. The CLP started in the morning with the orientation at the Church after the Eucharistic celebration with some dynamics in between the talks. For the second day, the remaining talks were continued with the same approach. Brother Jimmy Lozare formally closed the CLP with a blessing and pray-over of all participants. The CLP produced 20 Thai nationals, English speaking campus- based from Mae Fah Luang University. Both service team and newly graduate participants were enthusiastic with the talks and dynamics. All were very much excited to join the upcoming activities not only in Chiang Rai but also in Bangkok especially the Regional Conference in September 2018. Lastly, in addition to the CLP, the service team spent time with kids and youth for some educational activities. The fire of the Holy Spirit is once again set ablaze in SFC Thailand! The echo conference was officially opened by Sonny Montalbo, CFC Family Ministries Coordinator who drew inspiration from the story of Timothy. JM Junio led the group in a vibrant Opening Worship to start the event. Rev. Gerry Gamaliel S. Delos Reyes, OMI Thai-Lao Delegation Superior, was also present as the Mass presider. The talks were given under four topics: Rekindle (by Andy Co), Regoice (by Inah Bancoro), Relentless (by Challette Canete) and Fulfill Your Ministry (by Rowena Elemento). The conference ended with a powerful praisefest, led by Bro. Philip Talantor, bringing the conviction of every SFC delegate to an even higher level. The message resounds that all are called to follow the Lord through ministry and mission each and everyday. The event was prepared and coordinated by a team of 12 SFC leaders and members who attended the 25th Singles for Christ International Conference (ICON) held last 16-18 February 2018 at the Globe Circuit Event Grounds, Makati City, Philippines. The event was also supported by the SFC Couple Coordinators of Central Bangkok Chapter, Jason and Binay Domingo, as well as Louie and Pinky Lepiten of North Bangkok Chapter. A covenant orientation for Youth for Christ members graduated last year was delivered on 17 February 2018 at the Don Bosco Filipino School, Nonthaburi. Sixteen YFCs participated in the event, excluding the service team. There were 4 talks given by YFC and SFC leaders. The event was headed by JC Saga from Central Bangkok with members of the service team coming from Central Bangkok, North and Nonthaburi Chapters, namely Kent Dante assigned as opening prayer, Miguel Marqueses as our worship leader in the morning session, Jr Mission as the worship leader in the afternoon session. The music ministry was headed by Yves Magpantay. SFC household head Siegrid Tejeno and members also joined in to help in giving talks and assisting the activity. YFC couple coordinators from Central Bangkok and North Bangkok Chapter were present to oversee the event together with the Family Ministry Coordinator couple Sonny and Tess Montalbo. Jimmy Lozare together with SFCs Rowena and Inah visited Srivichien Village, Chiang Rai on 3-4 February 2018 to introduce SFC ministry among Catholic college students of Mae Fah Luang and Rajabhat Universities. The meeting with Thai students was held at the Seminary and conducted in English. After the introduction and teaching of SFC songs, the students expressed interest in SFC activities and agreed to invite other students to attend a Christian Life Programme to be organized on 18 and 25 March 2018. They aimed at inviting 20 to 25 students from each University. The mission was facilitated by Fr. Ekachai and Fr. Joachim, and was part of the follow up activities to a request made by Bishop Francis Xavier Vira of Chiangmai Diocese who earlier requested Jimmy to revive the CFC Thai group in Chiangmai province. Before meeting the students, the mission team met with Bishop Vira and attended a mass celebrated by the Bishop and 20 priests from northern provinces on the occasion of the St Camillus Parish feast. CFC was well recognized and received at the assembly. On Sunday, 4 February 2018, CFC members from North Bangkok, Central Bangkok and Nonthaburi chapters gathered for the first prayer assembly of the year at the Korea House, Asian Institute of Technology. At the assembly, each member was consecrated to God following the tradition of First Fruits. It was a solemn and sacred occasion when each member presented to an altar, prayed for consecration and offered a symbolic amount of money. Edgar introduced the background of the tradition and reminded members of vision of CFC "Families in the Holy Spirit Renewing the Face of Earth". Through the Baptism of the Holy Spirit that each member receives during the CLP, the renewal of individuals and the community begins. Members were inspired to see full attendance and to meet members who have rejoined participation in community activities. Special thanks to the chapter leaders and family ministry coordinators for encouraging their members to participate in the assembly. ​Couples for Christ (CFC) is a Catholic-based community intended for the renewal and strengthening of Christian family life. It brings families together to pray and grow in their marriage vocation, enhance their family relationships and raise their children in accordance with Christian faith, values and teaching. CFC welcomes other family groups through its Family Ministries comprising Singles for Christ (SFC), Handmaids of the Lord (HOLD), Servants of the Lord (SOLD), Youth for Christ (YFC) and Kids for Christ (KFC). This website contains information about the work and activities of CFC in Thailand. For further information about CFC Thailand and if you wish to join its programmes, please contact the CFC office via email (cfcbkkcenter@gmail.com) or call Ms. Tess Montalbo +66853421243. Ricky Cuenca, President, ANCOP International Canada signed an agency agreement with Father Jo Maier of Mercy Center located in Klong Toey, Bangkok on 29 March 2019 for the purpose of helping children and impoverished families living in the slums of Bangkok. The agreement is valid for two years from signing and provides monthly financial support for the education of 50 Thai students. This signing serves as the first ANCOP Canada initiative in Thailand. ANCOP is a social programme of Couples for Christ which provides support for education, community development and value formation. Joe and Mila Yamamoto, members of the CFC International Council, visited Bangkok on 28-30 September 2018 and spent time to meet with Edgar/Moonyeen and Jimmy/Naty. The couple were here to attend an ASEAN cardio conference. Jun and Tina Ymson from CFC Paranaque met with Edgar and Moonyeen on 21 September 2018. They were actively involved in organizing the senior programme of CFC in the Philippines. They were in Bangkok for family purpose and took time to connect with CFC Thailand. Edgar/Moonyeen Dante and Sonny/Tess Montalbo represented CFC Thailand at the CFC International Leaders Conference (ILC) held at Mall of Asia Arena, Manila on 11 January 2019 and at the Continental Leaders Empowerment Conference (CLEC) for Asia and Oceania at the SM Aura, Manila on 12-13 January 2019. The ILC introduced the CFC theme of the year "Live as a Children of Light" and provided guidance on how to live out the theme and on future direction of CFC. Over 14,000 CFC leaders attended the ILC. At the CLEC, a five-year (2019-2023) strategic plan with clear targets for the continent was introduced. The plan serves as an overarching framework for the continent and informs the development of five-year national plans by the respective Country Governance Team. One of the targets of the overall plan was to make CFC Thailand a full mission centre by 2023. ​Fr Michael Tidkham Jailertrit, SCJ, of the Chiangmai Diocese, is all smiles after concelebrating Mass with 12 bishops and more than 200 priests from 20 countries, Manila and provinces, attended by more than 50 religious and about 600 CFC lay leaders at the CFC Clergy-Laity Congress, held at the SMX Hall of the Mall of Asia Complex last June 21st. ​Fr. Michael Tidkham (second from left), Chiangmai Diocese priest in-charge of the Family Apostolate, at the Family Ministries Congress and Workshop held at the SMX Hall of the Mall of Asia Complex last June 22nd, with (from right) – Raffy Ballesteros, member of the CFC Elders Assembly and new country coordinator for Thailand; Manny Panagsagan, new Central A Sector Head and country coordinator for Laos, and FTPW Jimmy Lozare. ​With CFC top leaders from the Global Mission Center (GMC Home Office, from left – Jimmy and Lorna Ylagan of the Elders Assembly; Rouquel and Nina Ponte; International Council elders and in-charge of the Pastoral Formation Office (PFO) and the CFC Family Institute; Nolet Ladrido, STMA head and country coordinator for Europe; Fr. Michael Tidkham and FTPW Jimmy Lozare; and new couple country coordinator for Thaialnd Amie and Raffy Ballesteros; at the Mission Core Gathering (MCG) of the combined Central A, B and C Sectors, held at the St. Francis School in Santa Ana, Paco, Manila last July 1st. Over 2,500 leaders of CFC climb to the mountain resort of Baguio each year for the mission core weekend retreat. On 19-21 January 2018, Edgar and Moonyeen attended the retreat for the first time representing CFC Thailand. Called Solemn Charge, the retreat reflected on the 2018 theme of CFC based on the second letter to Timothy by Paul. It expounded Paul's final exhortation to younger Timothy as Paul knew his ministry was coming to an end and emphasized on the importance of proclaiming the Gospel even in difficult circumstances with courage and sacrifices as exemplified by Paul's missionary life. Paul's story was depicted through talks, celebration of the Eucharist, testimonies from members and drama presentations. It was a great opportunity to meet with CFC elders, particularly those who supported CFC Thailand during its formative years, including Brod. Roquel and Sis Nina Ponte. 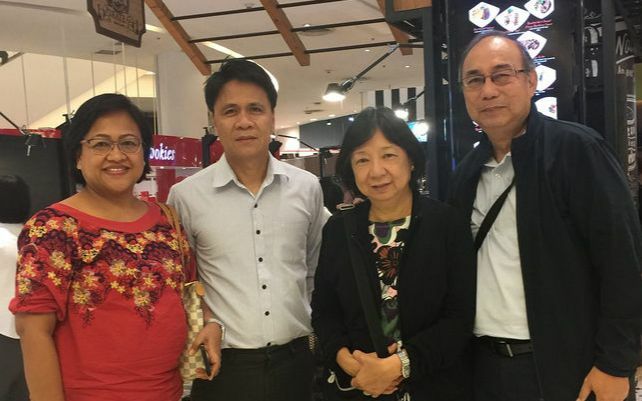 The conference also offered a time to bond with the country coordinators Brod Bombee and Sis Beth Tiongsion who kindly facilitated the participation of Edgar and Moonyeen and allowed them to meet with other leaders who had previous engagements with CFC Thailand. The retreat will be echoed in Bangkok sometime in May or June 2018. The Catholic Bishops Conference of Thailand through H.E. Bishop Francis Xavier Vira Arpondratana, chairman for the Apostolate Commissions and bishop of the Chiangmai Diocese, announced the CBCT decree making Oct. 22nd (anniversary of the beatification of the Seven Blessed Martyrs of Songkhon) of every year as the “Day of the Laity” for the Catholic Church in Thailand. This is also to makes the Seven Blessed Martyrs of Songkhon, five of whom are lay, patrons for the laity in Thailand. His announcement was made during the Mass, celebrating the 28th anniversary of the beatification of the first Thai martyrs, held at the Shrine of the Blessed Martyr of Songkhon, along the banks of the Mekong River in Mukdahan Province, Archdiocese of Tharae-Nongsaeng, last Oct. 22nd, 2017. The Vatican had designated Dec. 16th of every year for the Feast of the Seven Blessed Martyrs of Songkhon. They are on the final stage prior to being canonized as saints once a second certified miracle is attributed to their intercession. Con-celebrating the Mass were the new and first Laotian cardinal His Eminence Louis-Marie Cardinal Ling Mangkhanekhoun, bishop of Apostolic Vicariate of Pakse and new administrator of the Apostolic Vicariate of Vientiane, as special guest of honor, with invited special guests Apostolic Vicar Jean-Marie Prida Inthirat of Savannakhet, Laos, and Bishop Vira, and as host the archbishop of Tharae-Nongsaeng Louis Chamnien Santisuknirand. Bishop Vira also announced the creation of a new diocese from the fast-growing Diocese of Chiangmai, to be named the Diocese of Chiang Rai, due to the large number of hill tribe converts from the time of Bishop Emeritus Joseph Sangval Surasarang of Chiangmai. There are almost 60 Thai priests from various hill tribe groupings in the mountain regions bordering Myanmar and Laos, mainly refugees fleeing persecution of minorities and harsh conditions in South China, Myanmar, Laos, and Vietnam. ​He said that the delay in the Vatican announcement for the Diocese of Chiang Rai is because after four rounds of selection interviews the Vatican office in charge has not yet recommended a candidate to Pope Francis for a bishop to be named for the new Thai diocese. Bishop Vira asked for prayers be said for a bishop for Chiang Rai Diocese to be appointed as soon as possible. ABC Study Days on Amoris Laetitia -- "The Good News for Family"
Jimmy presented Family Ministries in CFC-Thailand on the second day of the FABC Meeting. The Thai delegation led by Bishop Siripong presented Chapter 8 of Amoris Laetitia to the assembly of two bishops, 11 priests, a nun. and five lay leaders from nine countries of Asia -- Hongkong, India, Japan, Pakistan, Philippines, Singapore, Sri Lanka, Taiwan, Thailand, and Vietnam. The Meeting was held at the Camillian Pastoral Center in Lardkabang, Bangkok, last Oct. 8th-12th. The CFC Kids for Christ Global Day of Service or GDS is an annual event of the CFC Kids for Christ ministry under its world changers program. It is in this event where all KFC members, their families and friends with the whole CFC community and non-community partners will do acts of love and service to others especially to the poor and needy. This year 2017, the GDS celebrates its 8th year with the theme “WE DO EVERYTHING IN LOVE.” The KFC ministry aims that this year’s participants will do acts of love and service as inspired by the 7 Corporal Acts of Mercy. This time a FUN RUN for a cause was conducted on 7 October 2017 at the AIT grounds with its theme “RUN FOR LOVE” which aimed to raise funds to help support the St. Joaquim Centre for Immigrants in Samut Sakorn. Through the kids, their families and friends with the support of the whole community, the FUN RUN for cause was a success. We hope that many will be inspired to contribute as well as in making our world a better place by sharing love and goodness of God to others. Not often we hear about a CFC sport team joining in competitive tournament. 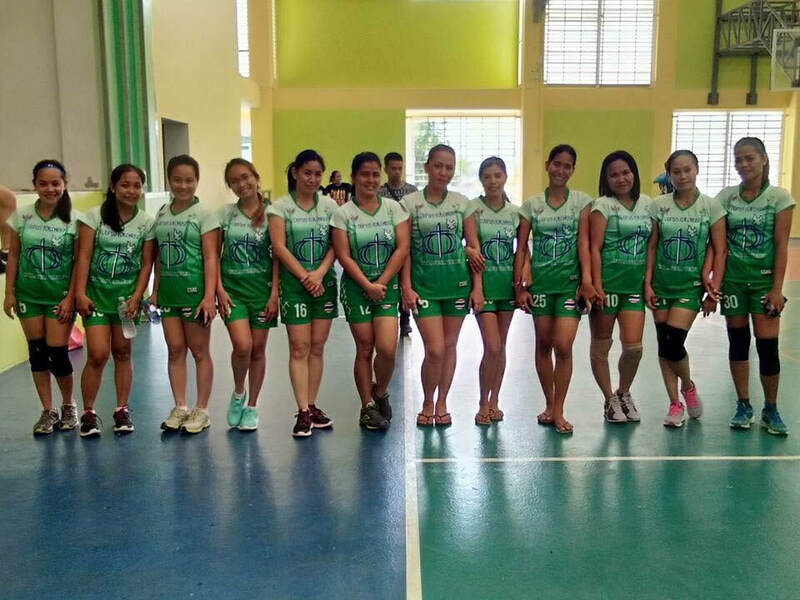 But members of CFC Laguna Phuket participated in a volleyball tournament of this year's Filipino Community League (FCL) which commenced on 20 August 2017. 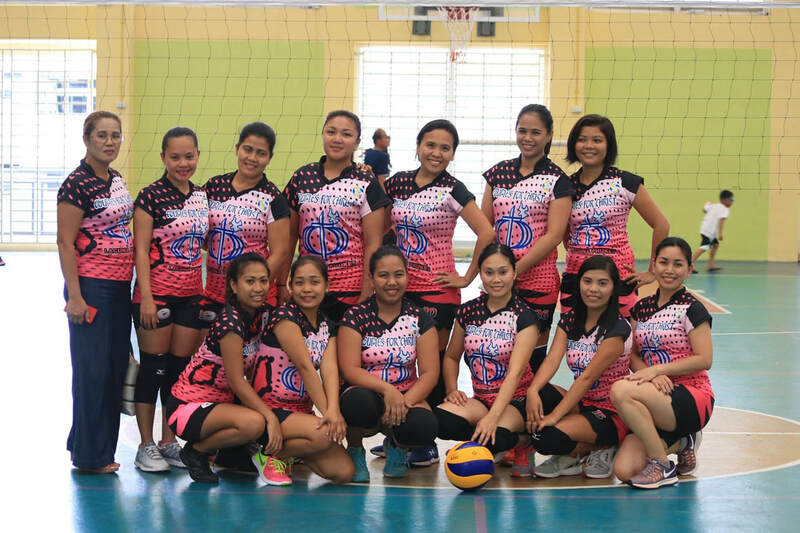 Despite being busy from work and fellowship, the sisters of CFC Laguna Phuket made time to compete against 5 other volleyball teams. They also aimed to promote CFC and encourage other Filipinos to join the community. This activity was inspired by the words of St. Paul "I can do all things through him who gives me strength" (Philippians 4:13). The fraternal household gathered at the residence of Steve and Agnes at Rama III on 13 June 2017 to bid farewell to the couple and their two daughters who were preparing to leave Bangkok for good to Windsor London. Steve and Agnes have been active members of CFC for over 9 years and at one time had served as members of the Council and chapter leaders for CFC Central Bangkok. They also led several missions to Huahin to conduct Christian Life Programmes and sustained a monthly visit to the school at the Fatima Centre of the Good Shepherd Sisters of Thailand to conduct special lessons and games for students. Steve expected to join a government school in Windsor and integrate themselves in a local CFC community. Our prayers and wishes for safe travel and smooth transition go to the couple! Archbishop of Bangkok Francis Xavier Kriengsak Kovitvanit received a courtesy call from the elders of CFC Thailand at his residence near the Assumption Cathedral in Bangkok on Friday, 31 August 2013. Father John Tamayo, National Spiritual Director, CFC Thailand led the CFC delegation comprising Prakan/Praisri Oudomugsorn, Arom/ Supatra Poolpokol, Jimmy Lozare, Arnold/Letty Itao, EDante and Arturo Roa. The CFC delegation expressed its gratitude to the Archbishop of Bangkok for his continued strong support to CFC Thailand and its family-based ministry and briefed him of the evangelization work of CFC in Bangkok as well as in upcountry areas. The Archbishop said he recognized the importance of family movements like CFC to support the work of building parish-based communities and thanked CFC for its excellent service to the Church. Edgar and Moonyeen joined the Thai household prayer meeting held at the Mary Help of Christians Church in Srinakarin road on Sunday, 5 February 2017. Four founding members of CFC Thailand were present in the meeting: Prakan/Praisri, Eddie/Emily, Jimmy/Naty and Boy/Delia Contreras. It was a wonderful get together with members of who have been active in the community for at most 28 years and have remained faithful to the household prayer meetings. Also present was Ajarm Arom, who led many upcountry missions in the past, but had been out of the community activities lately due to illness. He said he is recovering well and hope to join missions to Surat Thai on 8-9 April and the 23th Anniversary celebration in Ubon on 29 April. Dr Chat/Mary Anne also joined the household as regular members. Fr. Joseph Chalerm Kitmongkol, secretary-general of the CBCT Commission on the Lay Apostolate, announced on Monday, 21 December 2015, that retired Ambassador Precha and Sirikul Pitisant, CFC-Thailand national council elders, will be a part of the six-person official delegation of Thailand to the FABC Conference on the Family to be held at the Salesian Retreat Center in Hua Hin on May 16th-20th, 2016. The Conference is co-sponsored by the FABC Office of Clergy, under Bishop Vianney Fernando (bishop of Kandy, Sri Lanka), and the FABC Office of Laity and Family, under Archbishop Patrick D’Rozario (archbishop of Dhaka, Bangladesh). The Theme of the Conference is “SHEPHERDING FAMILIES IN ASIA – Contemporary Challenges and Responses for Bishops, Priests and Lay leaders” in direct relation to the Extraordinary Synod and the Synod on the Family held at the Vatican in October 2014 and October 2015, respectively. The Federation of Asian Bishops’ Conferences (FABC) has invited 15 Asian countries, each to be represented by the bishop in-charge of the country’s Family Apostolate, a priest and two lay couples for a total of 60 delegates to the Conference. The Thai delegation is composed of Bishop Silvio Siripong Charatsri, chairman of the CBCT Commission on the Lay Apostolate covering the Laity, Family and Youth Desks, Fr. Chalerm, Amb. Precha/Sirikul Pitisant of CFC, and Pornpisut/Watana Sangkarat of Sor-Cho-Kor (Family Renewal national movement). As hosts, Fr. Chalerm has requested the FABC Secretariat for more Thai “Observers” in the Conference and has submitted the names of Fr. John Tamayo, SDB, national spiritual director of CFC, Thaworn Wongsavirateppibal and Chanvit Taratipyakul of Focolare, and Noppadol/Elma Muangkrut of the Christian Family Movement (CFM). 25 October 2014: CFC Thailand celebrated its 25th anniversary at Baan Phu Wan Pastoral Centre on 25-26 October 2014. Nearly 500 members from CFC communities in Bangkok, Ubon, Tharae, Surat Thani, Panom, Phuket and Chiangmai gathered in unity to offer praise to God and share their joys and talents. Under the theme "We love because He first loved us" (1 John 4:19), the event represented a significant milestone in the 25 years history of the community in Thailand. Fr. Joseph Chalerm Kitmongkhol, Secretary-General of the CBCT Commission on Family Apostolate informed the gathering on the challenges of Christian family life in the context of the discussions at the recent Synod on Family and H.E. Bishop Prathan Sridarunslip recalled his inspiring experiences with the CFC communities. The events highlighted the achievements of the past 25 years, inspiring testimonies of CFC members and variety of talents that exist in the community. Twenty-one CFC leaders from various parts of the Ubon Ratchathani Diocese met at the St.. Theresa Gardens Retreat Center on 25 February 2016, led by Diocese Head Samnieng Thanara of CFC-Zong Ye (Yasothon province), for their first Leaders' Assembly of the year 2016. A new Area Governance Team (AGT) to replace to existing Mission Area Council was elected by open vote with Samnieng remaining as the Diocese Head. French missionary Fr. Robert Coste, MEP, prayed over them before he blessed the whole Leaders Assembly prior to our departure. The assembly opened with a Mass in the morning celebrated by Fr. Coste and followed by an exhortation on the Year of Mercy. After lunch, there was a presentation on the CFC Thai Mission with emphasis on Ubon Diocese and how to remain united and working together in the power and grace of the Holy Spirit.